It's not easy to concentrate at school when mysterious things are happening all around you. In fact, Clarice Bean is starting to feel just like her favorite heroine: Ruby Redfort, schoolgirl detective. Clarice and her utterly best friend, Betty Moody, are planning to ace their book project about Ruby and win the class prize, until Betty disappears into thin air, and horrible teacher Mrs. Wilberton teams Clarice up with the naughtiest boy in school. Will her new partner ruin everything? Will Betty ever come back? And what on earth happened to the silver trophy everyone's hoping to win? Lauren Child brings her trademark wacky wit and eccentric visual energy to a full-length, fastpaced Clarice Bean episode that will charm even the most capricious reader. 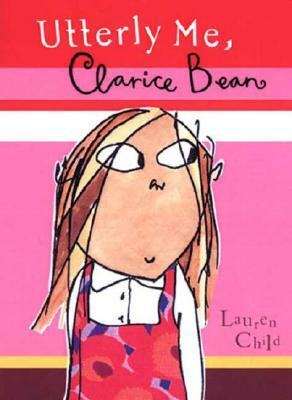 Lauren Child says that she does a lot of staring into space, which is how she thought up the character of Clarice Bean, now the spunky subject of four illustrated books. When Lauren Child was younger, she liked watching cartoons and overhearing conversations, and her ambition was to wear sunglasses on top of her head. She still likes to watch cartoons and overhear conversations, and she claims to have achieved her ambition. Lauren Child has written and illustrated numerous other books, including I WILL NEVER NOT EVER EAT A TOMATO, which won the Kate Greenaway Medal. The author-illustrator lives and works in London, England. Clarice Bean is the more literate version of Junie B. Jones: sassy, slightly too confident of her abilities, winning in her no-nonsense view of the world. A perfect choice for reading aloud or for newly independent chapter-book readers, this will utterly captivate a wide audience. Fans of Child's irrepressible, impulsive picture-book heroine — as well as kids who have not yet had the pleasure of making her acquaintance — will devour her first chapter-book adventure. . . . Once again, Clarice Bean is utterly a charmer. The flibbertigibbet, middle-child star of three picture books jumps to a more extended format without losing her exuberance, short attention span, or stream-of-consciousness style of narration.